If you already know the 2019 Altima AWD is for you, you can skip the details and build yours now. Whether it’s turbocharged power or fuel-sipping economy, Altima's all-new available VC-Turbo™ engine responds to your input instantaneously. It literally changes shape as it adjusts the compression ratio to maximize output or fuel economy. With increased side and back bolster support, Altima holds you tight as you carve through the twists and turns. On long drives, redesigned Zero Gravity front seats can help reduce fatigue, while standard 8-way power adjustments help you find your ideal position. Zero Gravity Seats – In the weightlessness of space, humans take a relaxed posture that minimizes stress on the body. 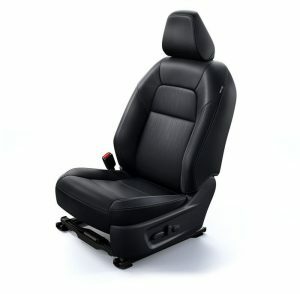 With this in mind, Nissan designed an articulated front seat that offers continuous support from the pelvis to the chest. The result is a seat that’s incredibly comfortable and helps reduce fatigue, no spacesuit required. Available Intelligent Around View Monitor makes parking easy with a virtual 360° bird’s-eye view of your Altima and selectable split-screen close-ups of the front, rear, and curbside views. It also gives you an on-screen heads-up when it detects moving objects near your vehicle. The lights flash on, the first notes of the song begin to fill the air, and the crowd goes wild. This is the best concert ever, and you haven’t even left the driveway. With 9 speakers strategically placed throughout the cabin, the Bose® Premium Audio System provides the richness and detail of a live performance. Each speaker has been custom-tuned by Bose® engineers to take advantage of the unique interior acoustics of Altima,® so every instrument seems to hit you from a different angle. It’s front-row sound so good, it might even be better than being there. Imagine getting in at “just right.” The All-New Altima features an available Intelligent Climate Control system that can respond to the weather outside, to heat or cool your cabin as you like. It can even turn on your heated seats and steering wheel – all before you've stepped inside. Get your 2019 Nissan Altima AWD at Burlington Nissan.